Bay Venture Outfitters is proud to announce a third season of Kids on Kayaks, a series of summer adventures for kids 9-12 who love to be outside and on the water. Each camp incorporates kayaking skills, games, learning, and of course a ton of fun on the waters of the North East Creek! This year we are teaming up with the Cecil College Summer Camp program to present our camps, so registration will be done online at the link below. Ready for a different adventure every day? 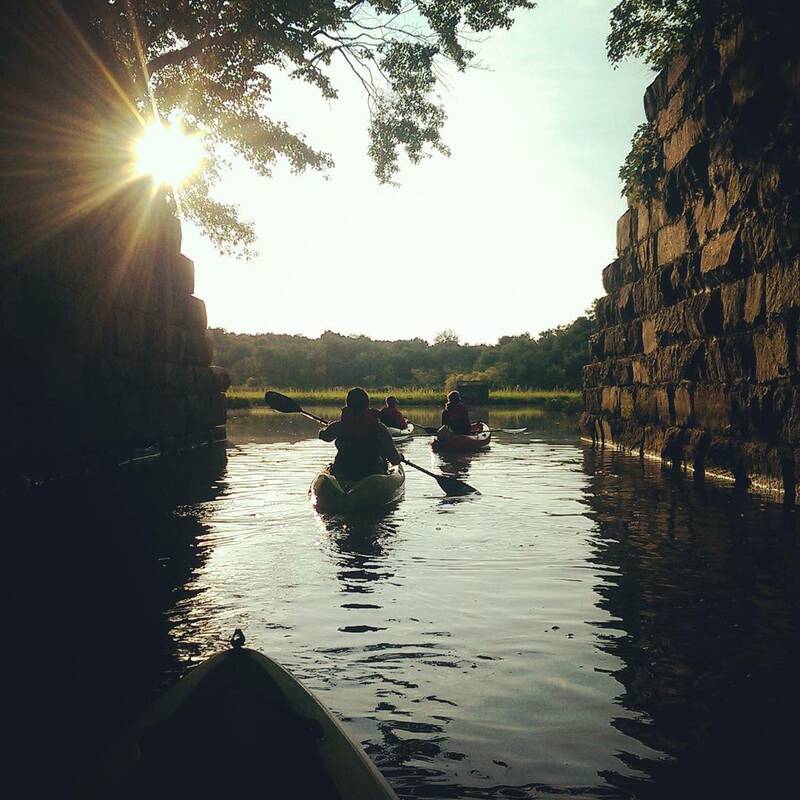 Join Bay Venture Outfitters to learn kayaking and boating safety skills as you explore the waters of the upper Chesapeake Bay! Search for Bay critters, investigate local freshwater beaches and tributaries, follow clues on a water trail scavenger hunt, search for pirate’s treasure, conduct water experiments and create nautical and water-related crafts. 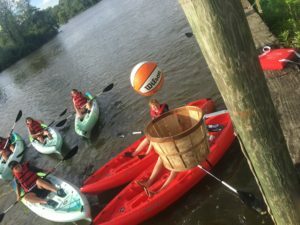 Meet new friends and develop new skills all while having a blast on the North East Creek and Upper Chesapeake Bay! Kids on Kayaks II introduces campers to a different set of on-the-water kayaking experiences, games and activities than those in Kids on Kayaks I, but with the same focus on kayaking, boating safety skills, and outdoor adventure! Create your own water trail, catch and observe Bay critters, and conduct a fun project that will help to conserve and protect the Chesapeake Bay! Kids on Kayaks Day Camps will run rain or shine. Water-based activities will be conducted weather permitting. In the event of unexpected severe weather we will relocate to a designated safe area. Note: You are more than welcome to bring your own sit-on-top kayak. Sit-inside kayaks are not permitted. What is the earliest time I can drop my child off? Camp officially starts at 9am. If needed, you may drop your camper off no earlier than 8:30am. From 8:30 to 9am there will be no structured activities, but your camper may be able to help with set-up activities! How big are the groups? How many instructors will there be? Camp participants range from a minimum of 6 to a maximum of 12. There will always be two instructors and at least 1 trained volunteer during camp operating hours. What equipment will my child be using? All kayaks are Perception Tribe sit-on-top kayaks. They are designed for all ages, are very stable, and are fully closed so that they cannot fill with water even if flipped. We ask that campers bring a re-usable water bottle filled with water from home each day. Refills are provided by the camp. We offer a snack every day, but campers are welcome to bring their own snack. Any dietary restrictions or allergies should be noted on the registration form.